kitchen sinks, the first step is always to read guides and critiques. 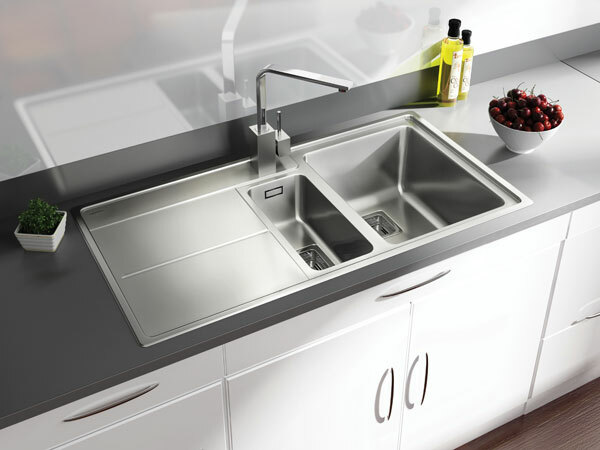 If you are on the market for a new kitchen sink made from stainless steel, start to read customer reviews. The Internet is the best place to do this conveniently and easily. You can easily read reviews at any time and anywhere you want, and you can have the feel of the product. Check, whether there are any restrictions or rules that restrict plumbing work in your building or your area. Always install the faucet or tap before installing the sink (only in case of a new installation). Unpack the installation kits and other accessories and check for damages, in advance. Return it to the manufacturer if you find any defects. If you are replacing an old sink, make sure that you have brought an appropriate replacement, with the same shape, size, and same hole outputs as the previous one. Use the template, that comes with the sink, for drawing outlines and cutting the holes. You can use fretsaw for cutting the outlines. Take 2x4 wood stud and cut them into parts of size 4 to 6 inches approximately. Screw them below the countertop, so that it does not fall after removing the supports. Cut the sink from all the sides, and take off the support. Take aside the cutout section of the countertop. Use bead of silicone for sealing the sink lip. Apply it to the edges, which will make them waterproof. Adjust the sink and the countertop carefully. Position the sink at the opening of the countertop, in such a way that the countertop will touch the solution used for sealing. Use the mounting clips that come with the installation kit to pull down the sink. They should be installed beneath the countertop, with the help of a screwdriver. Remove the dust and excessive sealer from the sink and it is ready to use.